Only B2B is the UK’s leading business-to-business communications consultancy. We deliver impactful B2B marketing campaigns that build brands and drive sales. We are a dynamic and rapidly expanding business-to-business marketing and communications consultancy with vast experience across multiple sectors from construction and manufacturing to transport and professional services. We bring unapologetically commercial strategies to online and offline B2B marketing through dynamic campaigns aimed at maximising return on investment for our business-to-business clients. Part of Beattie, the integrated communications agency, our ambition is simple – to be admired as the B2B communications firm that simply delivers. Our B2B marketing clients include some of the biggest B2B brands in the world, as well as smaller, vibrant companies that are revolutionising their industry sectors. Big or small we ensure they punch above their weight for share of voice so they are front of mind when decision-makers are looking for new suppliers. We pride ourselves in becoming part of every client’s in-house team whether we are providing integrated B2B marketing or distinct PR, digital, social, creative or advertising services. Headquartered in London, we are the biggest B2B marketing agency in the UK. You’ll find us in Birmingham, Manchester, Leeds, Glasgow and Edinburgh and across the rest of the country. 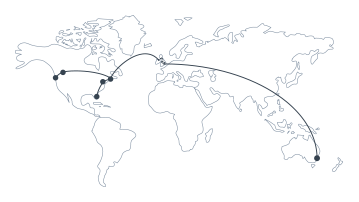 We have four offices in North America and partners in more than 40 countries around the world. It means we can deliver impactful B2B communications campaigns locally, nationally or globally.